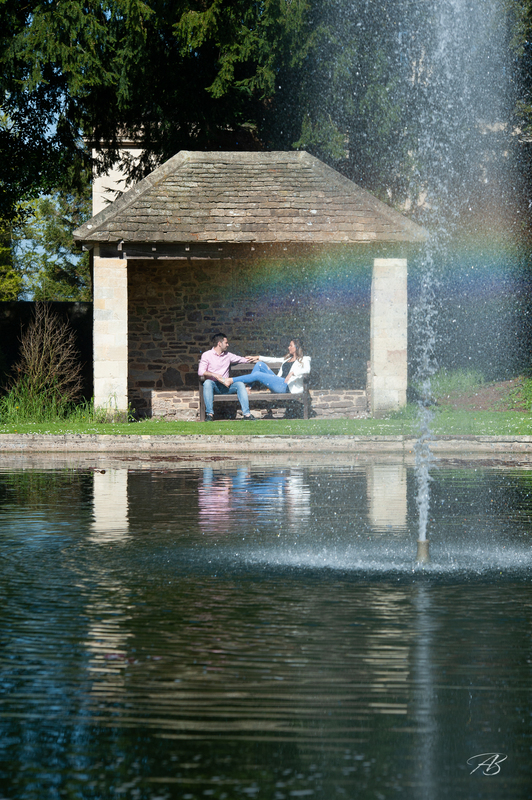 This Berkeley Castle Pre-Wedding photoshoot was conducted, unusually for a UK Bank Holiday, in bright sunshine. With a wedding booked in the afternoon we all met up at 9 in the morning. 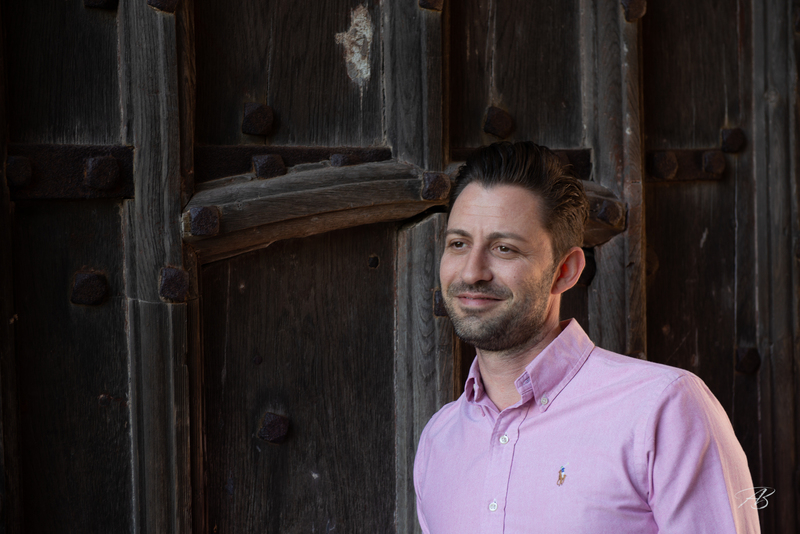 After a short walk around the venue we kicked off with a few portrait head shots just inside the portcullis. 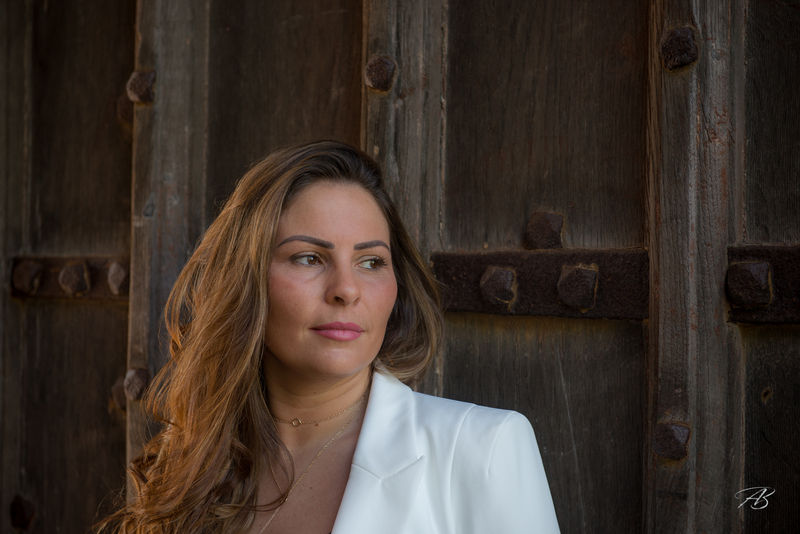 Shooting individual portrait photographs at the beginning of the session breaks the ice and quickly settles the nerves. 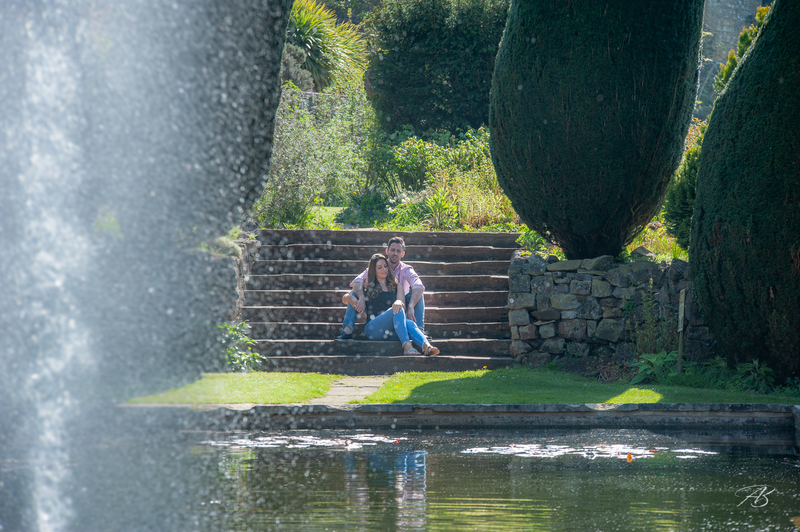 After this I generally get my couples to do a bit of hand in hand walking before asking them to get a bit closer. 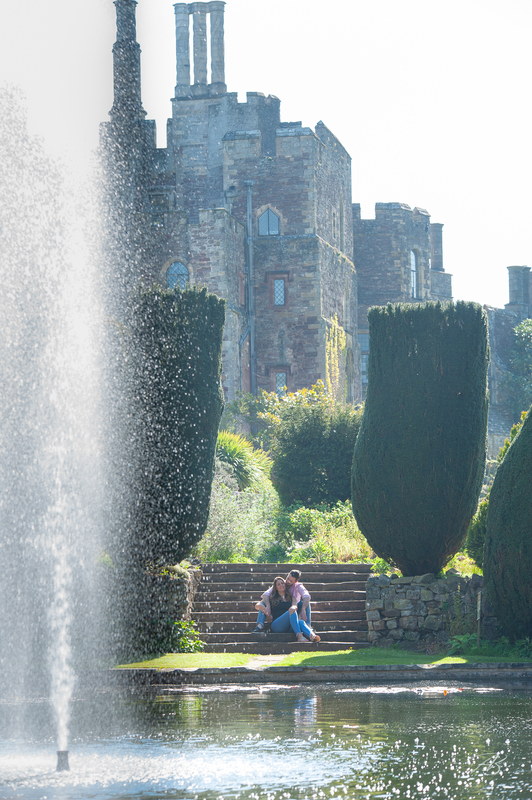 I hope you like the results from this Berkeley Castle pre-wedding photoshoot with Elaine and Jon. 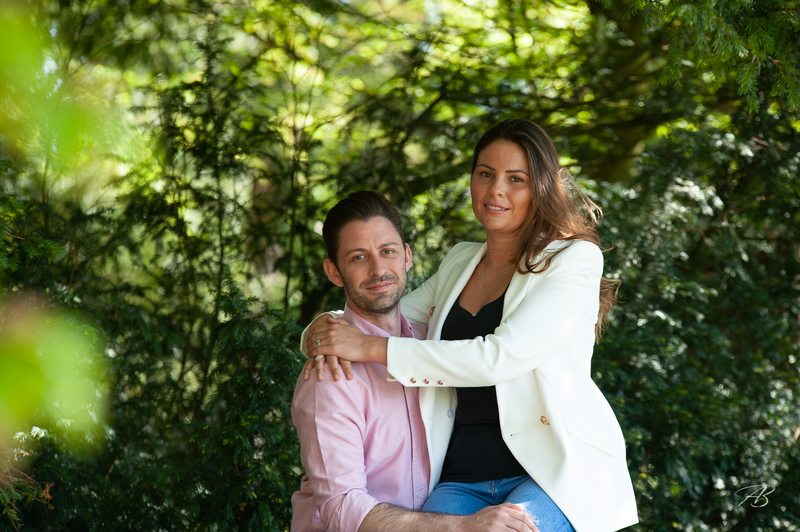 I’ve had the privilege of photographing couples in numerous castles around the UK. 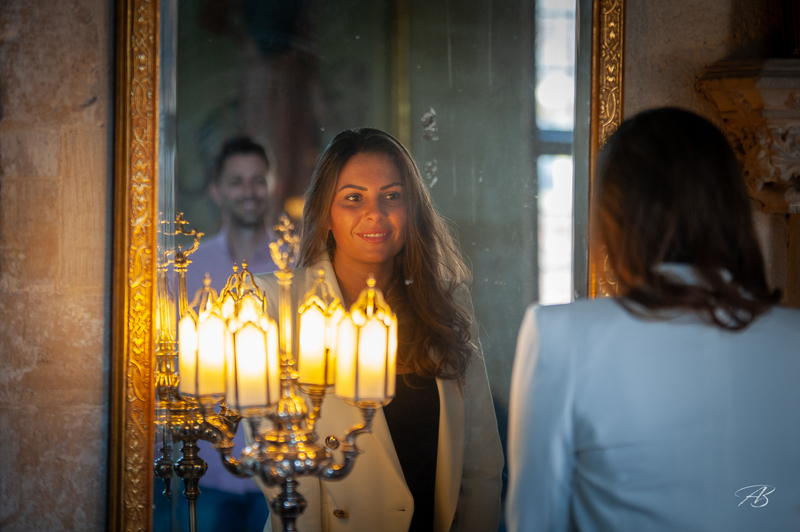 But this will be the first wedding (in a few weeks) that I’ve shot at Berkeley Castle. This 12th century English castle, built to keep the Welsh out like most castles in this part of the country, is located west of the Cotswolds near the River Severn between Bristol and Gloucester. An amazing venue, it’s only a short distance from my studio so constitutes a local venue for me. 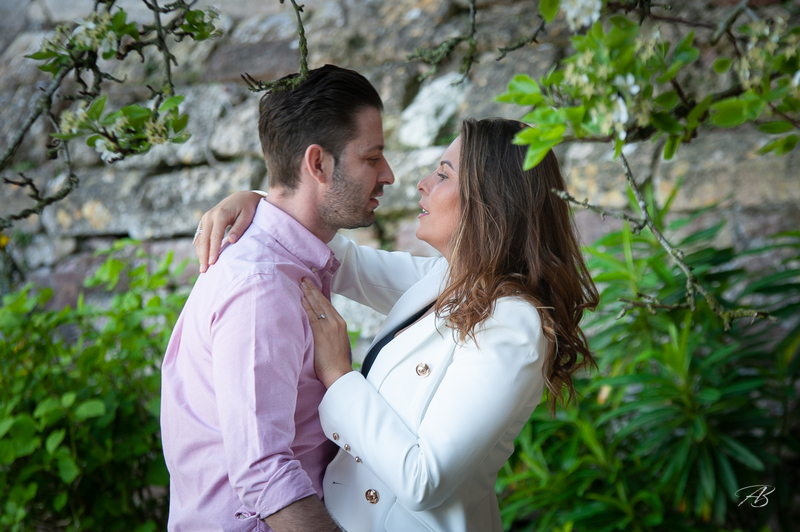 Berkeley Castle offers numerous amazing backdrops and an abundance of beautiful areas to capture intimate portrait shots. I hope to shoot many more times at this spectacular venue. I first met Elaine when she was a bridesmaid at her sister’s wedding that I photographed at Egypt Mills, Gloucestershire. Like many guests at the weddings I photograph, she was impressed by my customer service, style of work and of course, award winning wedding photography. So when she got engaged to Jon, I was delighted that Elaine contacted me to record her big day. Here is the slideshow of the full shoot. All Content Copyright Anthony Ball Photography. Award winning, International wedding and equine photographer. Covering Gloucestershire, Cotswolds, Bath and Bristol areas as well as the rest of UK and international destinations such as Barbados, The Caribbean and Europe.